Spring is a very active season for birds. 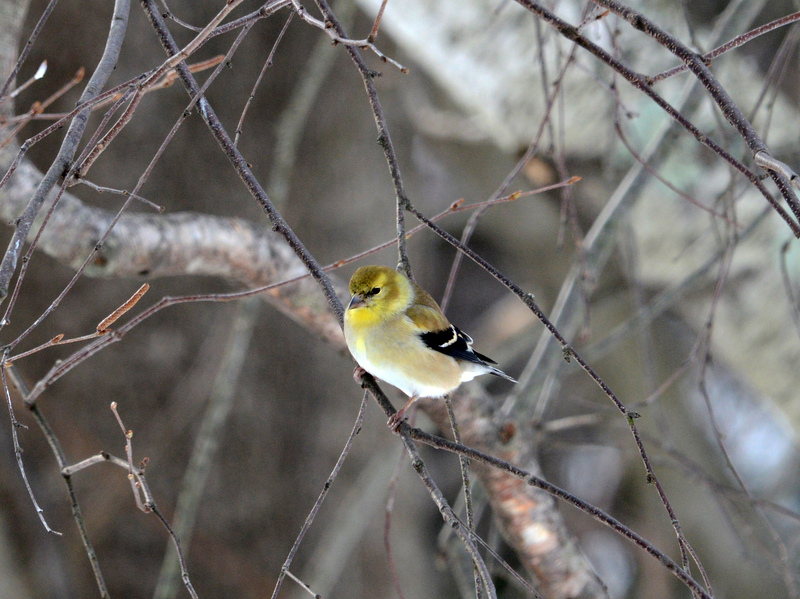 I can tell that spring is really coming when the male American Goldfinches shed their winter coats and the male Cardinals are no longer willing to eat together. The same thing goes for the Eastern Bluebirds which no longer flock together like they do in winter. There is also their singing. 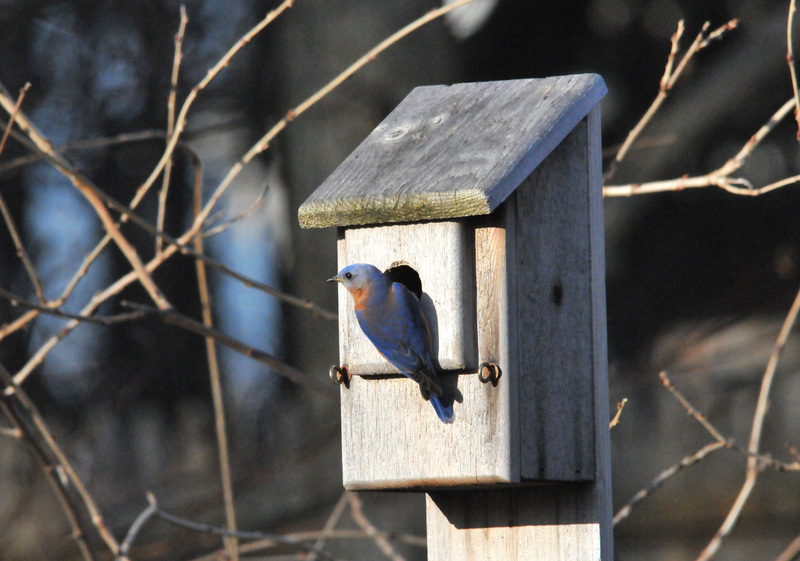 The first pair of birds that took up residence in our garden this year is the Eastern Bluebird. 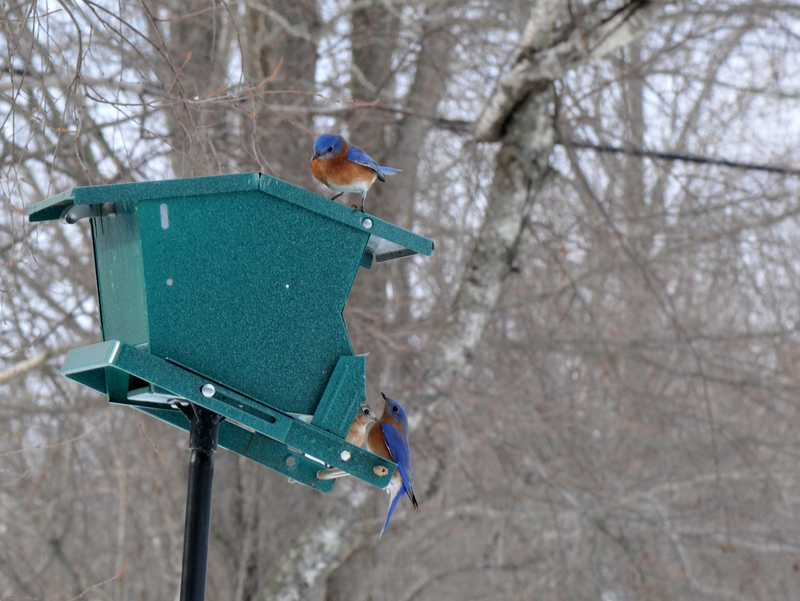 After picking and choosing among several nest boxes in the yard, they ended up at the same one the bluebirds nested in last year. I’m not sure that it’s the same pair though, since a flock of them stayed with us this winter. 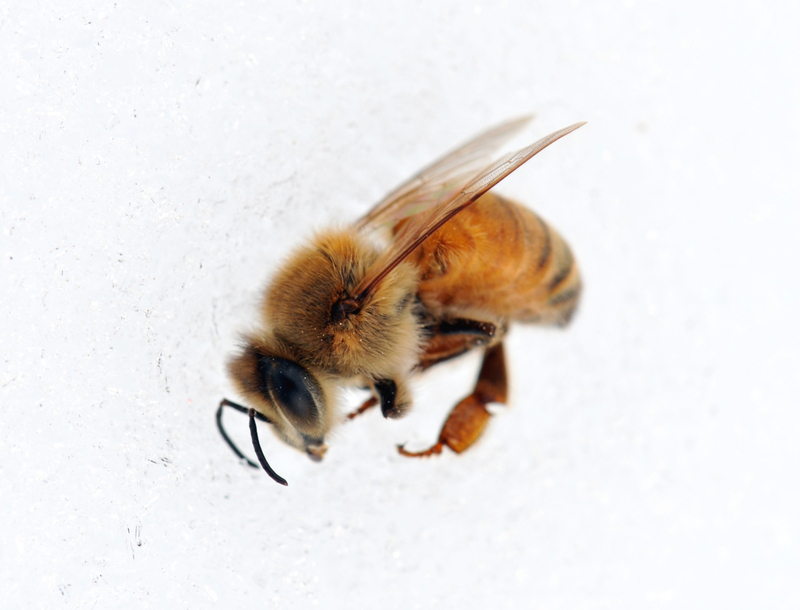 Once the female has started to lay eggs, the male become very territorial. 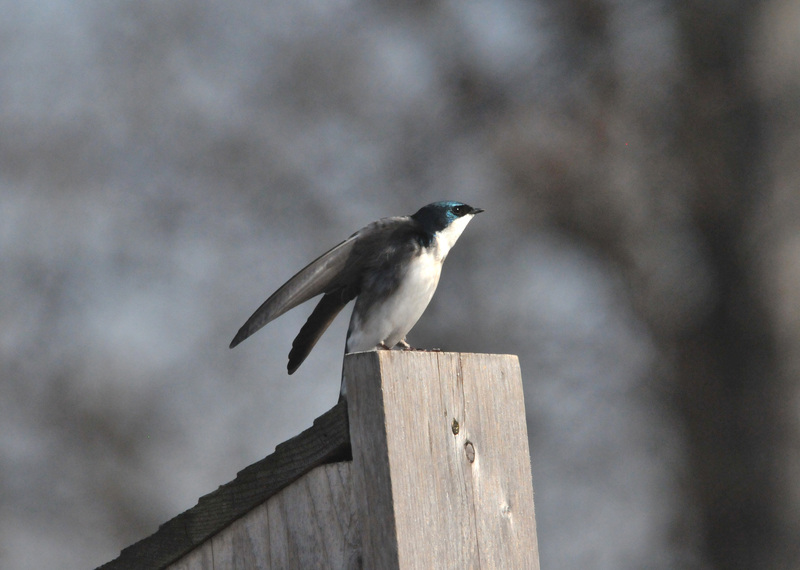 A Tree Swallow who just migrated back, checked the nest box for availability and was immediately chased away. As aggressive as the male bluebird is, he’s no match to the House sparrow. We have to diligently monitor all the nest boxes in the garden for signs of the House Sparrows. 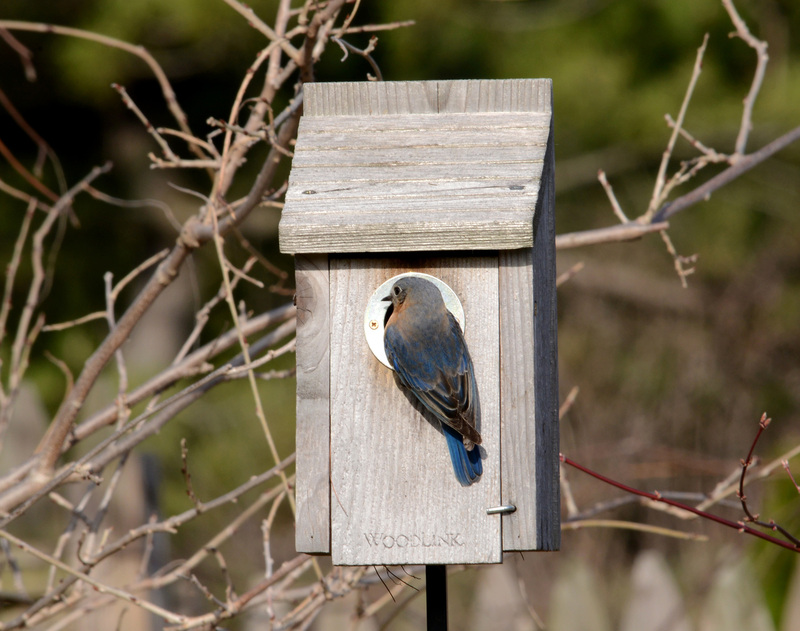 So far we have been successfully hosted Eastern Bluebirds, Tree Swallows, House Wrens, Chickadees and Tufted Titmouse in our nest boxes by monitoring the House Sparrows attempts. Hopefully most of the eggs she’s caring for now will make it to adulthood. We’re happy to see more and more of them each year and to know that they are comfortable enough to stay with us year round. These are the one’s that use the nest boxes. 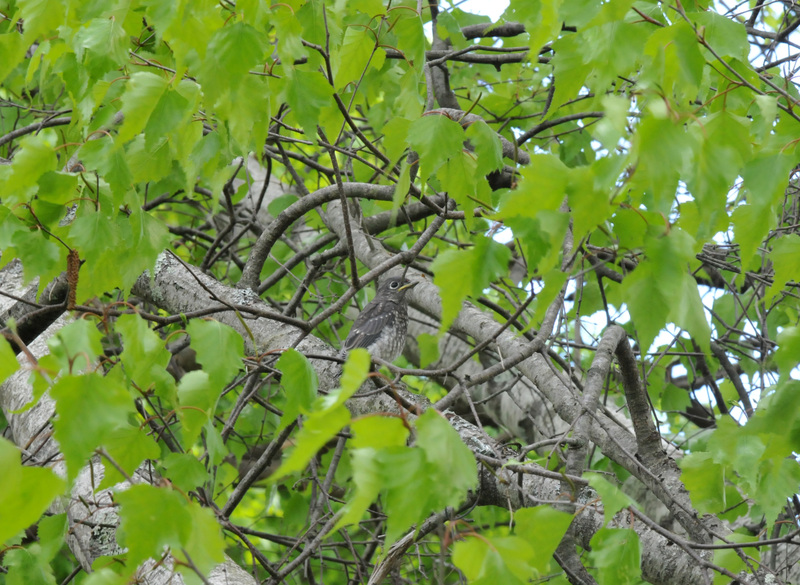 The one’s that prefer to build their own nests like the American Robins, Chipping Sparrows and Song Sparrows have already picked their spots in the foliage. 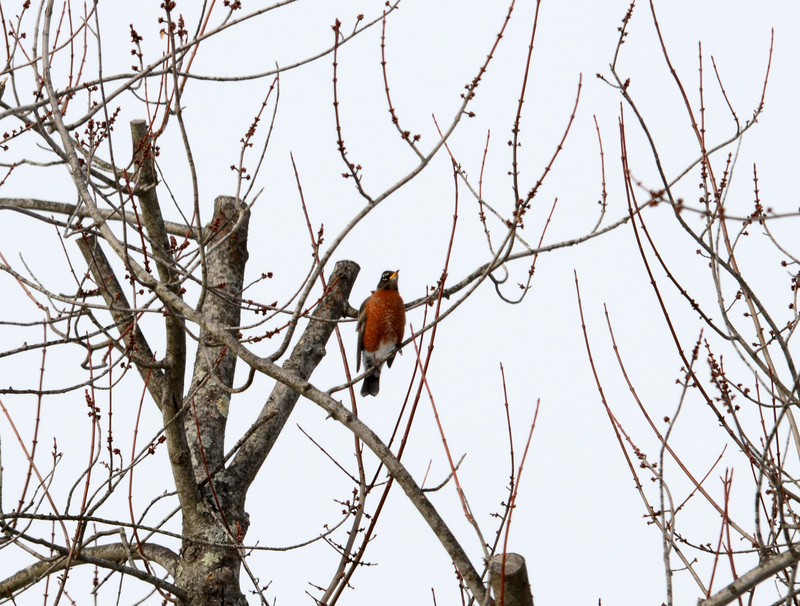 I’ll have to check on the Robins next time I have a chance. Last I checked, they had just finished building their nest. We are still waiting for the Grey Catbirds, Baltimore Orioles and Ruby-throated Hummingbirds to come back. The wait won’t be much longer because the Cherry trees have started to blossom and the Columbine is starting to bud. 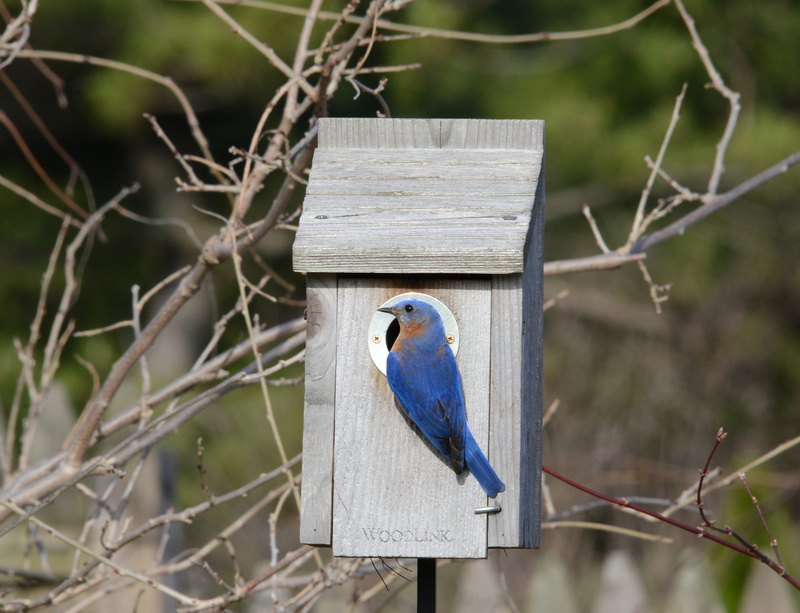 We have been housing Eastern Bluebirds (Sialia sialis) in our garden for a few years now. 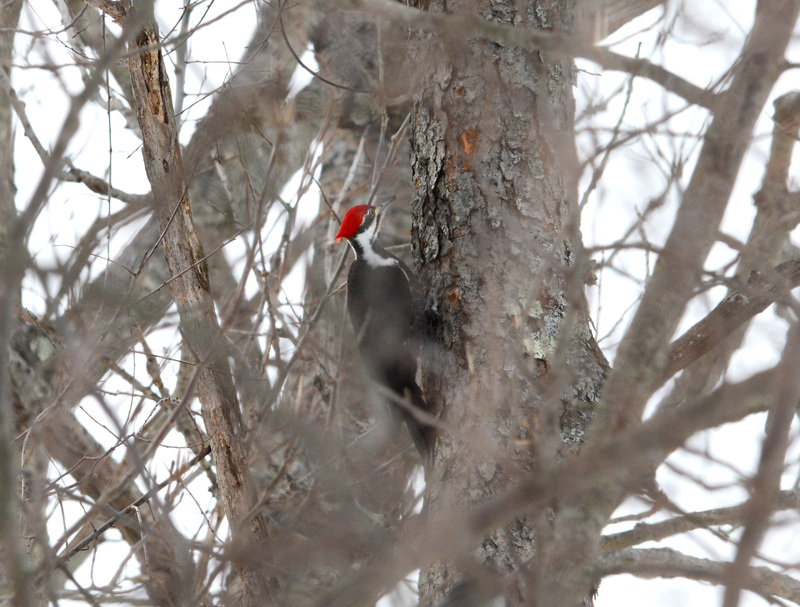 They arrive in early spring and check out birdhouses around the yard for nest-building and raising their chicks. In years past they would be gone by mid-autumn, but they never left this year. After their chicks fledged this year, they’ve been hanging around and foraging for food in the garden. I thought they would be gone by now, but I still hear their call from high up in the trees. 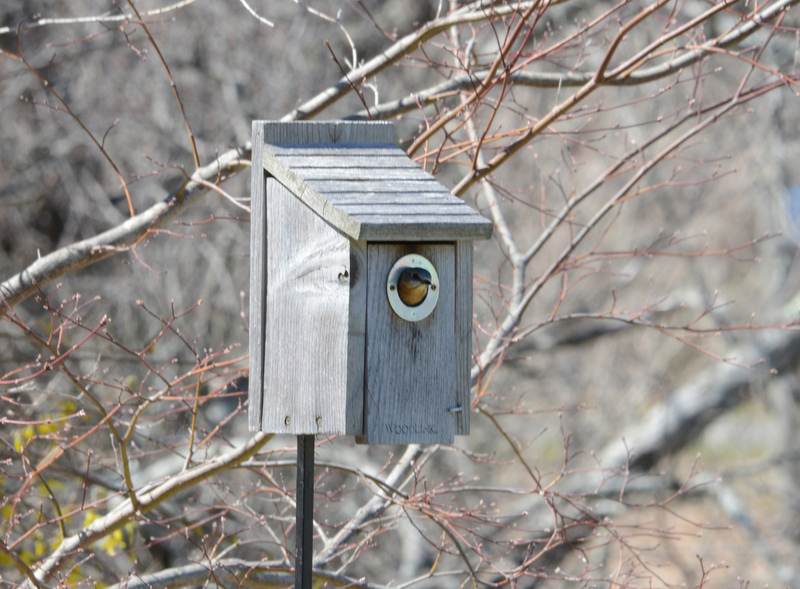 Lately, they’ve been coming around inspecting birdhouses again…but for roosting. Five of them came around today, checking out three houses in the garden. It is interesting to me that so many birds are very territorial during mating season, then hang out together during fall and winter. I guess it’s a self-preservation thing. Anyway, five of them descended and spread out checking the birdhouses. Once in a while they would stop to pick food off the lawn or take a bath. Yes, aside from food, we provide hot baths for the birds in winter. I hope they will stay with us this winter. I usually remove some of the birdhouses in winter so the House Sparrows wouldn’t have a chance to roost in them. Aside from putting them back up today, I also added a Bluebird feeder in the hope of making their lives easier if they decide to stay. The Bluebird population was in decline at one point because they couldn’t compete with the House Sparrows, a non-native. Just recently I read that their population has been increasing as birds lovers have started putting birdhouses up for them and intensely monitoring them. We have successfully raised a few families, but we also lost two would-be baby Bluebirds to the Sparrows. If the Bluebirds stay, I’ll have to declare war on the sparrows this winter. There will be no half-truces like in past years. ‘No quarter to be taken, aaarrhhh!’ I must remind myself not go out house-hunting sparrows in the middle of a sub-freezing night lest I accidentally roust a bluebird instead. 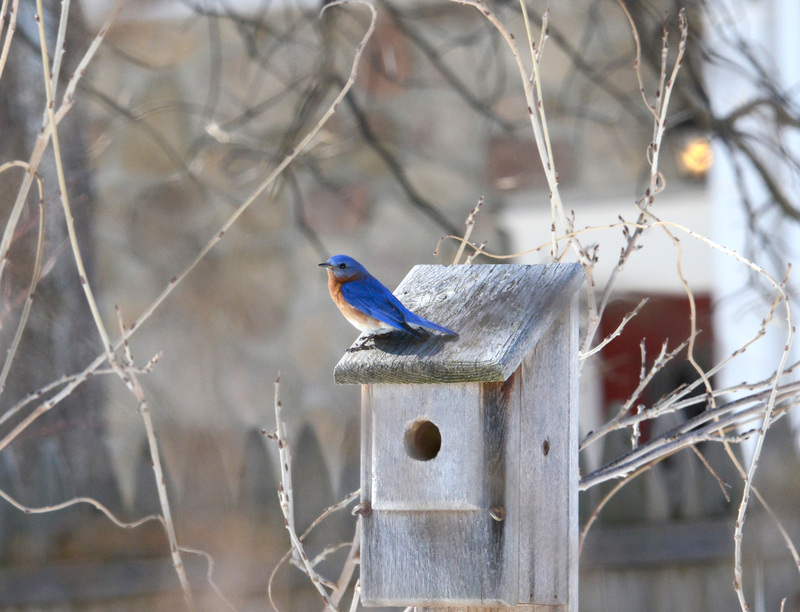 One of the Bluebirds perching on the nest box. Another member of the flock checking a different nest box. It has been a very warm winter this year. 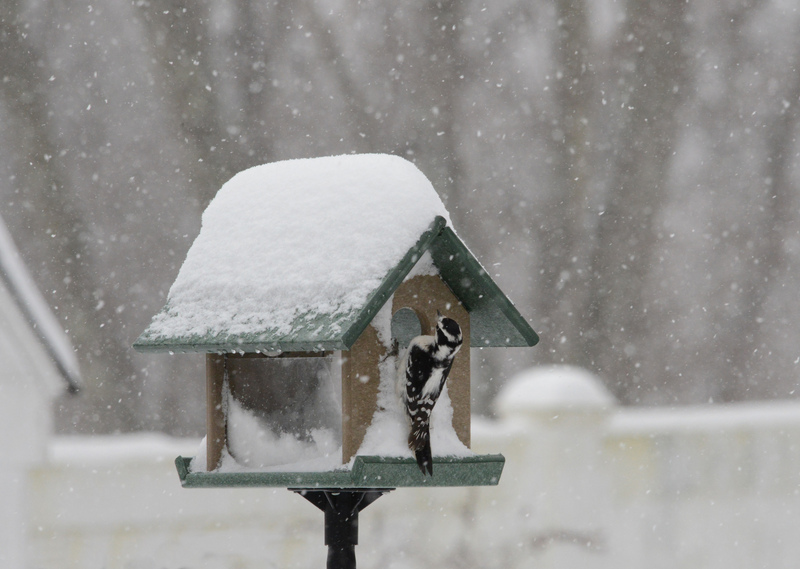 Many birds that migrate south during winter had delayed their journey. I saw a Gray Catbird a few times this winter, trying to get some dried fruits from the feeder. I hope it survive the winter since it was a little late to travel south. The flock of Dark-eyed Junco (Junco hyemalis) and a pair Carolina Wren (Thryothrus ludovicianus) came to stay with us during the winter as usual. 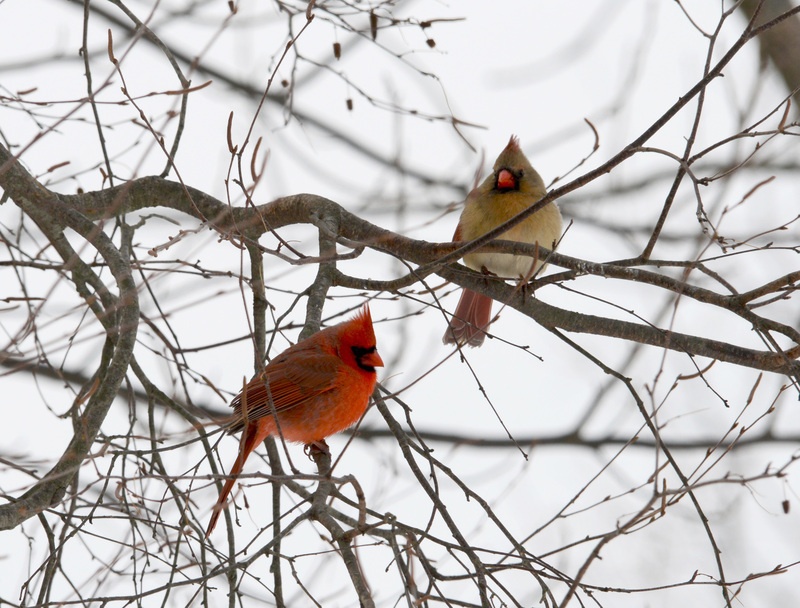 With them around, along with the resident birds like Northern Cardinal, Tufted titmouse, American Goldfinch, House Finch, and various types of woodpeckers and sparrows, makes winter much more bearable. 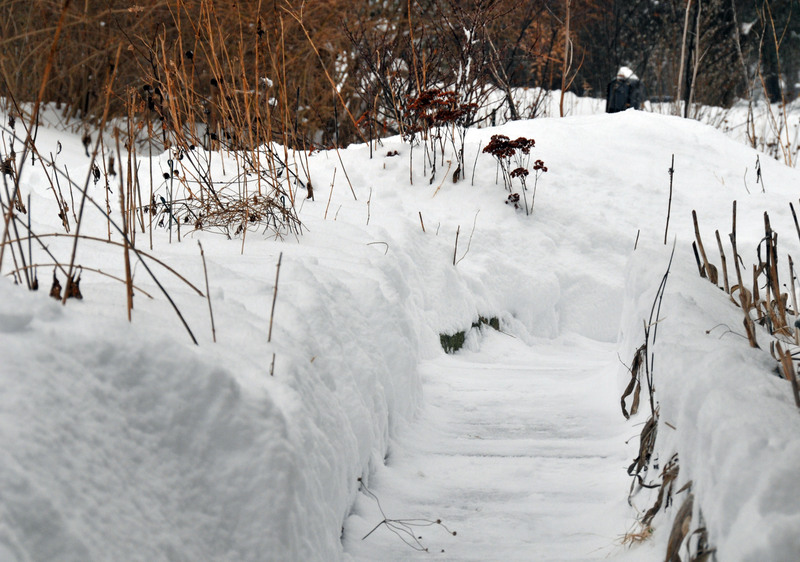 Not much else this winter. I guess the warm weather makes it easier for them to get food on their own. 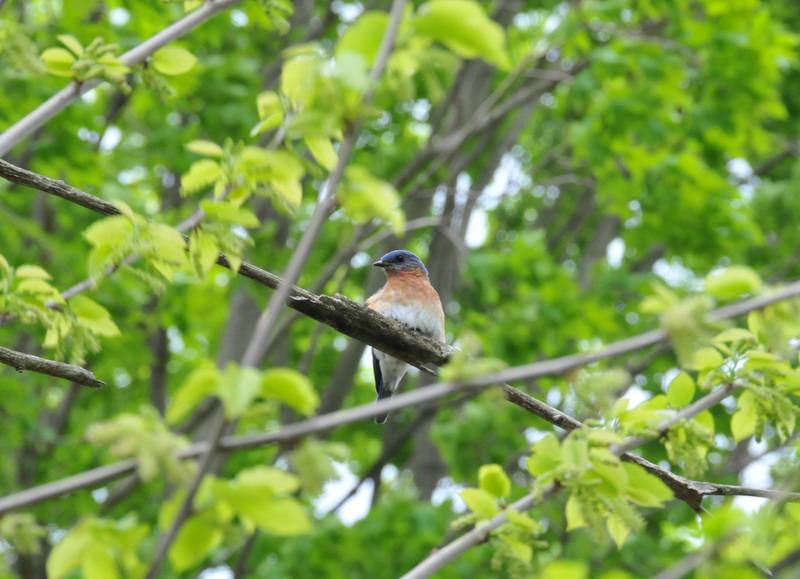 A male Eastern Bluebird checking out the neighborhood. 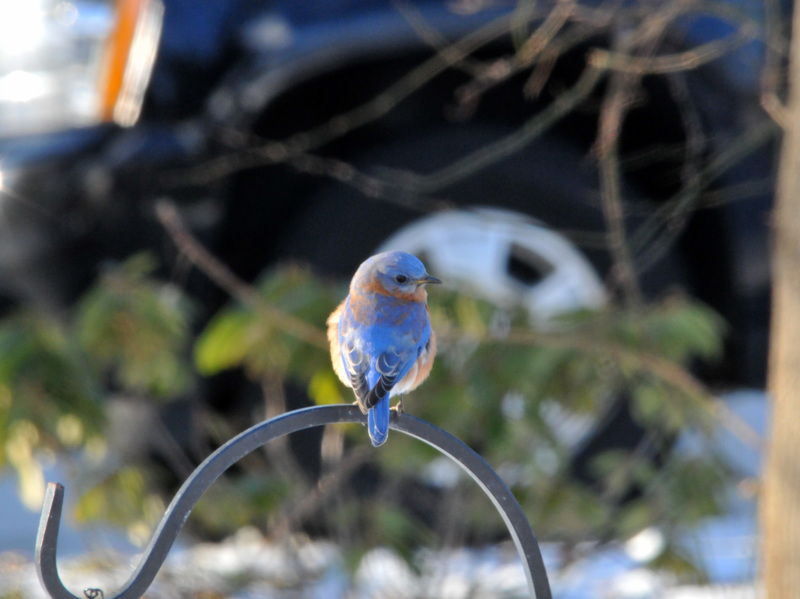 I was surprised to see a few Eastern Bluebirds (Sialia sialis) a few weeks ago. Five of them to be exact. They have checked one nest box after another. After a few days, only one pair of them decided to hang around. They still come and check on their favorite house every morning. I hope they build their nest before the Tree Swallows come back from down south. 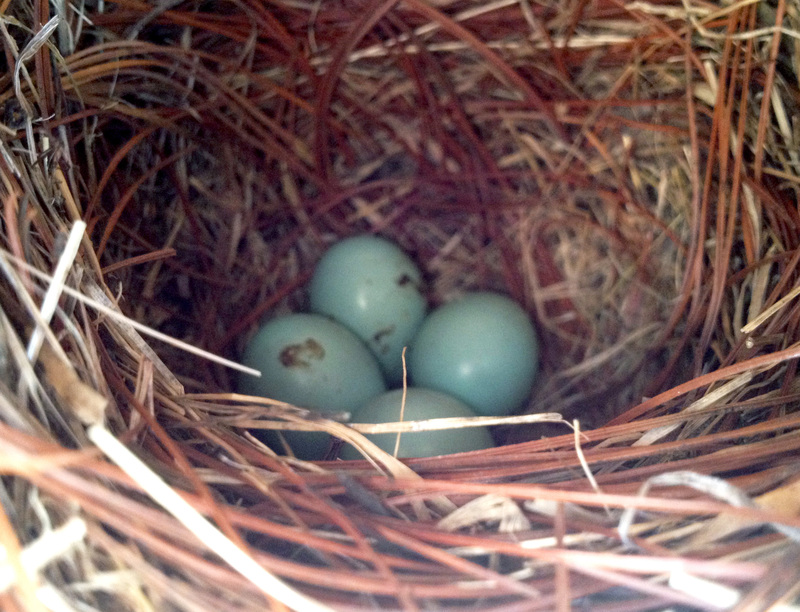 A pair of Tree Swallows have been raising their family in one of the nest boxes in the last couple of years. The younger generation seemed to like the house that the Bluebirds like. They perched and preened on the house everyday until they migrated. I don’t want to see a fight between my two favorites. 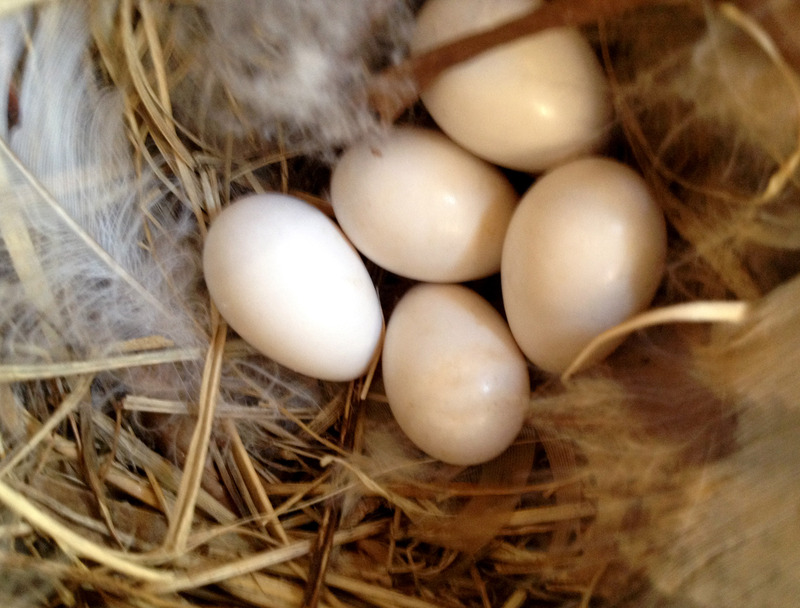 Our job now is to keep our eyes on the House Sparrows (Passer domesticus) to make sure that they won’t build a nest in the box or kick and poke on the Bluebird eggs. 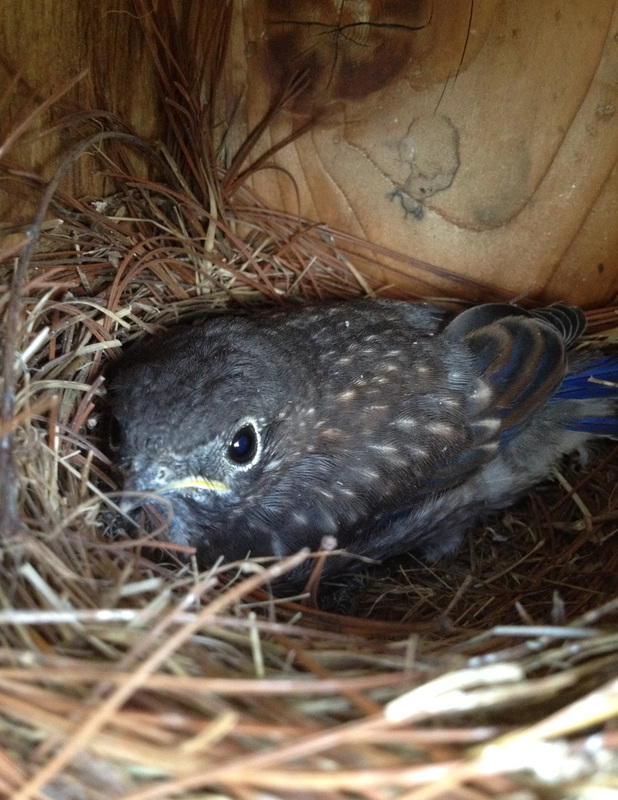 We declared war on them last year when they destroyed one of the Bluebird family nests. So far I’m not sure who’s winning. But I’m not giving up.